This standard white lace parasol is made up of cotton and polyester with wooden handle and support. It measures 25' (H) x 38' (D). 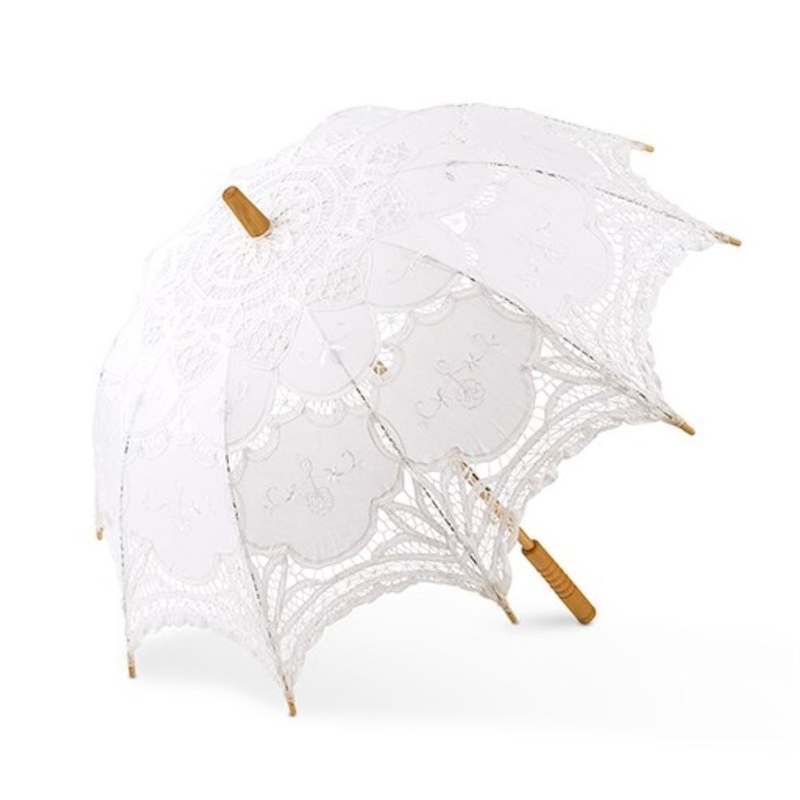 Whether at the reception, or a photography session, this classic white parasol is beautifully laced together to present a vintage accessorized scene. With the perfect white dress, some satiny white gloves, and delicately styled hair, this lace parasol completes the perfect picture portrait. It not only provides shade but also acts as a delightful accessory for a whimsical, ethereal aesthetic.